We’re always excited to help new SCS students get enrolled. Whether a student is planning to attend their zoned school or is approved for one of our many school choice options, registration is required if the child is brand new to the District. A PowerSchool parent account is required for registration. PowerSchool cannot be accessed on your own, so we recommend contacting our Parent Welcome Center, (901) 416-5300 or 2687 Avery Ave., for the quickest PowerSchool account setup. You can also contact your child’s zoned school or approved school choice location for assistance. Once all required information and documents are obtained (see below), you will receive an access code to create your PowerSchool parent account and begin the “New Student Registration” process. View frequently asked questions for new students. Current SCS students are not required to register each year. Students can continue attending their zoned schools or approved school choice locations each year, and parents can easily review and make updates to student information at any time prior to or during the school year using the Year-Round Updates form in PowerSchool. If your child previously attended SCS, but his/her most recent school was not an SCS school, he/she is still considered a returning student. You will just have to make updates to their registration information on file using the Year-Round Updates link in your PowerSchool parent account. If you have a SCS Pre-K student who will be entering Kindergarten, he/she is also considered a returning student, so you can use the Year-Round Updates link in your PowerSchool parent account to provide necessary additional information. View frequently asked questions for returning students. 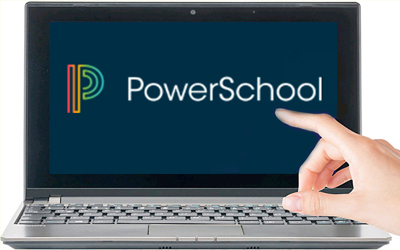 Parents must have an active PowerSchool account to register their child for school. An active email address is needed to create an account. Contact or visit the Parent Welcome Center, (901) 416-5300 or 2687 Avery Ave., to start the process. Students must have two (2) approved proofs of residence. Additional information is required for shared residency. Any student (new or returning) whose home address changes must submit proof at the school. See requirements and acceptable proofs here. New students must have a social security card and birth certificate at the time of registration. Students must have proper proof of required immunizations and physicals or an approved exemption on file to attend school.All students (new and returning) entering Kindergarten and 7th grade must submit proof of immunizations. See requirements and acceptable proofs here. New students registering for an approved school choice (General Choice or Optional Schools) should have their approval notice at the time of registration. New students entering SCS Pre-K have to be screened before registering. Students must turn 4 by August 15 to be eligible. View additional screening information here. Confirm if your child requires bus transportation at the time of registration. Please note, transportation is only provided for zoned schools, not transfers. View transportation eligibility guidelines here. The Parent Welcome Center is open Monday – Friday to assist families with registration and many other school processes and student services. Call or Visit: (901) 416-5300 | 2687 Avery Ave. Roll over each date box below for more info. All schools will be open and ready to help families who need computer access or registration support. Elementary and middle schools will offer additional hours for registration support during this time. Contact your school for hours. High schools will offer additional hours for registration support during this time. Contact your school for hours. This is the last day to register early for the 2016-17 school year. After this date, the registration site will be closed until July 25. Parents of new students can start registration online using any computer, tablet or smart phone with Internet access. Then, verify your documents at school. Meet staff, get bus and homeroom assignments, pick up supply lists and learn about clubs, sports, parent organizations and more.